In this tutorial, you will learn how to use the dlib library to efficiently track multiple objects in real-time video. We can of course track multiple objects with dlib; however, to obtain the best performance possible, we need to utilize multiprocessing and distribute the object trackers across multiple cores of our processor. Correctly utilizing multiprocessing allows us to improve our dlib multi-object tracking frames per second (FPS) throughput rate by over 45%! To learn how to track multiple objects using dlib, just keep reading! In the first part of this guide, I’ll demonstrate how to can implement a simple, naïve dlib multi-object tracking script. This program will track multiple objects in video; however, we’ll notice that the script runs a bit slow. To increase our FPS throughput rate I’ll show you a faster, more efficient dlib multi-object tracker implementation. Finally, I’ll discuss some improvements and suggestions you can make to enhance our multi-object tracking implementations as well. To get started, make sure you use the “Downloads” section of this tutorial to download the source code and example video. The mobilenet_ssd/ directory contains our MobileNet + SSD Caffe model files which allow us to detect people (along with other objects). multi_object_tracking_slow.py : The simple “naïve” method of dlib multiple object tracking. multi_object_tracking_fast.py : The advanced, fast, method which takes advantage of multiprocessing. The remaining three files are videos. We have the original race.mp4 video and two processed output videos. Utilize a simple list of tracker objects. Update each of the trackers sequentially, using only a single core of our processor. For some object tracking tasks this implementation will be more than sufficient; however, to optimize our FPS throughput rate, we should distribute the object trackers across multiple processes. We’ll start with our simple implementation in this section and then move on to the faster method in the next section. We begin by importing necessary packages and modules on Lines 2-7. Most importantly we’ll be using dlib and OpenCV. We’ll also use some features from my imutils package of convenience functions such as the frames per second counter. To install dlib, follow this guide. I have a number of OpenCV installation tutorials available as well (even for the latest OpenCV 4!). You might even try the fastest way to install OpenCV on your system via pip. If you aren’t familiar with the terminal and command line arguments, please give this post a read. --prototxt : The path to the Caffe “deploy” prototxt file. --model : The path to the model file which accompanies the prototxt. --video : The path to the input video file. We’ll perform multi-object tracking with dlib on this video. --output : An optional path to an output video file. If no path is specified then no video will be output to disk. I recommend outputting to an .avi or .mp4 file. --confidence : An optional override for the object detection confidence threshold of 0.2 . This value represents the minimum probability to filter weak detections from the object detector. The MobileNet SSD pre-trained Caffe model supports 20 classes and 1 background class. The CLASSES are defined on Lines 25-28 in list form. Note: Do not modify this list or the ordering of class objects if you’re using the Caffe model provided in the “Downloads”. Similarly, if you happen to be loading a different model, you’ll need to define the classes that the model supports here (order does matter). If you’re curious how our object detector works, be sure to refer to this post. We’re only concerned about the "person" class for today’s foot race example, but you could easily modify Line 95 (covered later in this post) below to track alternate class(es). On Line 32, we load our pre-trained object detector model. We will use our pre-trained SSD to detect the presence of objects in a video. From there we will create a dlib object tracker to track each of the detected objects. On Line 36, we initialize our video stream — we’ll be reading frames from our input video one at a time. Subsequently, on Line 37 our video writer is initialized to None . We’ll work more with the video writer in the upcoming while loop. Now let’s initialize our trackers and labels lists on Lines 41 and 42. And finally, we start our frames per second counter on Line 45. On Line 48 we begin looping over frames, where Line 50 actually grabs the frame itself. A quick check to see if we’ve reached the end of the video file and need to stop looping is made on Lines 53 and 54. Preprocessing takes place on Lines 58 and 59. First, the frame is resized to 600 pixels wide, maintaining aspect ratio. Then, the frame is converted to the rgb color channel ordering for dlib compatibility (OpenCV’s default is BGR and dlib’s default is RGB). From there we instantiate the video writer (if necessary) on Lines 63-66. 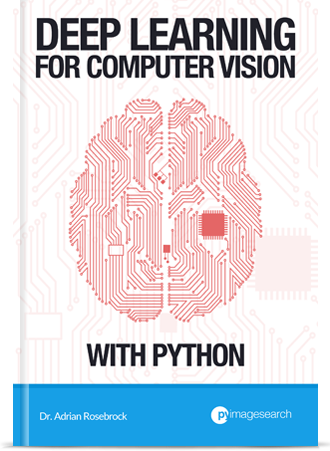 To learn more about writing video to disk with OpenCV, check out my previous blog post. Manually, by stopping the video stream and hand-selecting the bounding box(es) of each object. Programmatically, using an object detector trained to detect the presence of an object (which is what we are doing here). If there are no object trackers (Line 70), then we know we have yet to perform object detection. We create and pass a blob through the SSD network to detect objects on Lines 72-78. To learn about the cv2.blobFromImage function, be sure to refer to my writeup in this article. Filter out weak detections (Line 88). Ensure each detection is a "person" (Lines 91-96). You can, of course, remove this line of code or customize it to your own filtering needs. Compute the bounding box of each detected object (Lines 100 and 101). Instantiate and pass the bounding box coordinates to the tracker (Lines 105-107). The bounding box is especially important here. We need to create a dlib.rectangle for the bounding box and pass it to the start_track method. From there, dlib can start to track the object. Finally, we populate the trackers list with the individual tracker (Line 112). As a result, in the next code block, we’ll handle the case where trackers have already been established and we just need to update positions. Append the class label to the labels list (Line 111). In the event that you’re tracking multiple types of objects (such as "dog" + "person" ), you may wish to know what the type of each object is. Draw each bounding box rectangle around and class label above the object (Lines 116-119). In the object tracking phase, we loop over all trackers and corresponding labels on Line 125. Then we proceed to update each object position (Lines 128-129). In order to update the position, we simply pass the rgb image. After extracting bounding box coordinates, we can draw a bounding box rectangle and label for each tracked object (Lines 138-141). Write the frame to video if necessary (Lines 144 and 145). Show the output frame and capture keypresses (Lines 148 and 149). If the "q" key is pressed (“quit”), we break out of the loop. Finally, we update our frames per second information for benchmarking purposes (Line 156). To close out, our fps stats are collected and printed (Lines 159-161), the video writer is released (Lines 164 and 165), and we close all windows + release the video stream. Let’s assess accuracy and performance. To follow along and run this script, make sure you use the “Downloads” section of this blog post to download the source code + example video. It appears that our multi-object tracker is working! But as you can see, we are only obtaining ~13 FPS. For some applications, this FPS throughput rate may be sufficient — however, if you need faster FPS, I would suggest taking a look at our more efficient dlib multi-object tracker below. Secondly, understand that tracking accuracy isn’t perfect. Refer to the third suggestion in the “Improvements and Suggestions” section below as well as read my first post on dlib object tracking for more information. If you run the dlib multi-object tracking script from the previous section and open up your system’s activity monitor at the same time, you’ll notice that only one core of your processor is being utilized. In order to speed up our object tracking pipeline we can leverage Python’s multiprocessing module, similar to the threading module, but instead used to spawn processes rather than threads. Utilizing processes enables our operating system to perform better process scheduling, mapping the process to a particular processor core on our machine (most modern operating systems are able to efficiently schedule processes that are using a lot of CPU in a parallel manner). If you are new to Python’s multiprocessing module I would suggest you read this excellent introduction from Sebastian Raschka. Our packages are imported on Lines 2-8. We’re importing the multiprocessing library on Line 3. We’ll be using the Python Process class to spawn a new process — each new process is independent from the original process. box : Bounding box coordinates of the object we are going to track, presumably returned by some sort of object detector, whether manual or programmatic. label : Human-readable label of the object. rgb : An RGB-ordered image that we’ll be using to start the initial dlib object tracker. Keep in mind how Python multiprocessing works — Python will call this function and then create a brand new interpreter to execute the code within. Therefore, each start_tracker spawned process will be independent from its parent. To communicate with the Python driver script we need to leverage either Pipes or Queues. Both types of objects are thread/process safe, accomplished using locks and semaphores. Our parent process will produce new frames and add them to the queue of a particular object tracker. The child process will then consume the frame, apply object tracking, and then return the updated bounding box coordinates. I decided to use Queue objects for this post; however, keep in mind that you could use a Pipe if you wish — be sure to refer to the Python multiprocessing documentation for more details on these objects. We loop indefinitely here — this function will be called as a daemon process, so we don’t need to worry about joining it. First, we’ll attempt to grab a new frame from the inputQueue on Line 21. If the frame is not empty, we’ll grab the frame and then update the object tracker, allowing us to obtain the updated bounding box coordinates (Lines 24-34). Finally, we write the label and bounding box to the outputQueue so the parent process can utilize them in the main loop of our script (Line 38). The command line arguments for this script are exactly the same as our slower, non-multiprocessing script. If you need a refresher on the arguments, just click here. And furthermore, read my post about argparse and command line arguments if you aren’t familiar with them. We define our model’s CLASSES and load the model itself (Lines 61-68). Remember, these CLASSES are static — our MobileNet SSD supports these classes and only these classes. If you want to detect + track other objects you’ll need to find another pretrained model or train one. Furthermore, the order of this list matters! Do not change the ordering of the list unless you enjoy being confused! I would also recommend reading this tutorial if you want to further understand how object detectors work. We initialize our video stream object and set our video writer object to None (Lines 72 and 73). Our frames per second calculator is instantiated and started on Line 76. The above code block is, yet again, identical to the one in the previous script. Be sure to refer above as needed. If there are no inputQueues (Line 101) then we know we need to apply object detection prior to object tracking. We apply object detection on Lines 103-109 and then proceed to loop over the results on Line 112. We grab our confidence values and filter out weak detections on Lines 115-119. If our confidence meets the threshold established by our command line arguments, we consider the detection, but we further filter it out by class label . In this case, we’re only looking for "person" objects (Lines 122-127). We first compute the bounding box coordinates on Lines 131-133. From there we create two new queues, iq and oq (Lines 137 and 138), appending them to inputQueues and outputQueues respectively (Lines 139 and 140). From there we spawn a new start_tracker process, passing the bounding box, label , rgb image, and the iq + oq (Lines 143-147). Don’t forget to read more about multiprocessing here. We also draw the detected object’s bounding box rectangle and class label (Lines 151-154). Looping over each of the inputQueues , we add the rgb image to them (Lines 162 and 163). Then we loop over each of the outputQueues (Line 166), obtaining the bounding box coordinates from each independent object tracker (Line 171). Finally, we draw the bounding box + associated class label on Lines 175-178. We write the frame to the output video if necessary as well as show the frame to the screen (Lines 181-185). If the "q" key is pressed, we “quit”, breaking out of the loop (Lines 186-190). If we do continue processing frames, our fps calculator is updated on Line 193, and then we start the process at the beginning of the while loop again. Otherwise, we’re done processing frames, and we display the FPS throughput info + release pointers and close windows. To execute this script, make sure you use the “Downloads” section of the post to download the source code + example video. As you can see, our faster, more efficient multi-object tracker is running at 24 FPS, an improvement by over 45% from our previous implementation ?! Furthermore, if you open up your activity monitor while this script is running you will see that more of your system’s overall CPU Is being utilized. This speedup is obtained by allowing each of the dlib object trackers to run in a separate process which in turn enables your operating system to perform more efficient scheduling of the CPU resources. The first improvement would be to utilize processing pools rather than spawning a brand new process for each object to be tracked. The implementation covered here today constructs a brand new Queue and Process for each object that we need to track. For today’s purposes that’s fine, but consider if you wanted to track 50 objects in a video — this implies that you would spawn 50 processes, one for each object. At that point, the overhead of your system managing all those processes will destroy any increase in FPS throughput. Instead, you would want to utilize processing pools. If your system has N processor cores, then you would want to create a pool with N – 1 processes, leaving one core to your operating system to perform system operations. Each of these processes should perform multiple object tracking, maintaining a list of object trackers, similar to the first multi-object tracking we covered today. This improvement will allow you to utilize all cores of your processor without the overhead of having to spawn many independent processes. The second improvement I would make is to clean up the processes and queues. In the event that dlib reports an object as “lost” or “disappeared” we are not returning from the start_tracker function, implying that that process will live for the life of the parent script and only be killed when the parent exits. Update the start_tracker function to return once dlib reports the object as lost. Delete the inputQueue and outputQueue for the corresponding process as well. Failing to perform this cleanup will lead to needless computational consumption and memory overhead for long-running jobs. The third improvement is to improve tracking accuracy by running the object detector every N frames (rather than just once at the start). 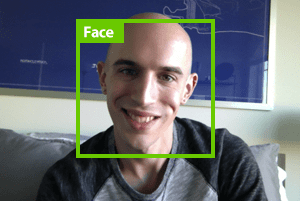 I actually demonstrated this in my previous post on people counting with OpenCV. It requires more logic and thought, but yields a much more accurate tracker. I elected to forego the implementation for this script so that I could teach you the multiprocessing method concisely. Ideally, you would use this third improvement in addition to multiprocessing. In this tutorial, we learned how to utilize the dlib library to perform multi-object tracking. Thereby leading to an increase in FPS throughput rate by over 45%. I would encourage you to utilize the multiprocessing implementation of our dlib multi-object tracker for your own applications as it’s faster and more efficient; however, you should refer to the “Improvements and suggestions” section of this tutorial where I discuss how you can further enhance the multi-object tracking implementation. If you enjoyed this series on object tracking, be sure to enter your email in the form below to download today’s source code + videos as well as to be notified of future tutorials here on PyImageSearch. Please tell how did you build the model? Are you referring to the object detector? If so, be sure to refer to this blog post. I searched all your tutorials and found no topic about multi-task learning. This is very hot in AdAs due to its various benefits. Typical MTL model includes Hyperface, TCDCN,etc., which can perform multitasking with just one single model. Can you share your knowledge in this domain? Hi Adrian. You’ve made another awesome tutorial. 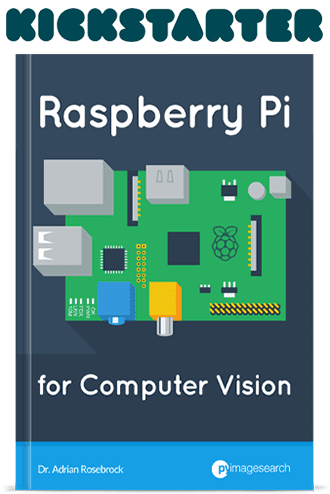 I’ve been using a Raspberry Pi 3 I’ve set up in second story window looking down on the street, and with a combination of your OpenCV motion detection script with contours to find and “box” moving objects, your centroid tracking algorithm to associate the object with it’s tracklet and some multi-processing pools with queues. For object detection, I send some frames to my server’s REST API which is running a Tensorflow model. This lets the Pi just focus on detecting motion and creating and associating tracklets with the right moving object while the server just tells it what type of object was using that track. This lets the Pi detect and track multiple objects in real time (just ~3 seconds behind real life) . However, using motion contours and centroid tracking isn’t ideal because you get ID switching when objects get too close. Mosse will probably give less ID switching than centroid tracking but I just couldn’t get it to run in real time on the Pi even with mulit-processing pools; though I might not have optimised them correctly. I’m tempted to try this dlib processing pool implementation on the Pi, but I recall you commenting once that dlib will be too slow on the Pi. Will this multiprocessing implementation you outlined here solve that? Hey David, thanks for the comment. And congrats on a great project, it sounds like it’s really coming along! As far as your question goes, I never actually said that dlib on the Pi would be too slow, I said that some functions implemented inside of dlib would be slow. Exactly when I said that depends on which post you read so I unfortunately cannot comment further. I haven’t ran this code on the Pi so it may be worth a shot but I wouldn’t expect it to run tremendously faster but it’s absolutely worth a try! My apologies; I should have been less ambiguous. It’s not that dlib would be too slow but that some OpenCV tracker functions would be faster and better suited to the Pi. I hope that’s a correct interpretation. If anyone would like to use my code, they can find it here -> https://github.com/grasslandnetwork. It’s an open source, object detection and tracker network built using some of the things I learned reading Adrian’s code. By giving the software access to any fixed perspective, 2-D camera feed, it provides a 3-D, searchable, simulated re-creation of events (just people and cars for now) in the part of the world it’s viewing using OpenStreetMap 3D. So you can view events in a “god view” mode like SimCity® or Civilization® but with the ability to rewind time and view their entire history. You can have real-time object detection on hardware as small as a Raspberry Pi at very high FPS because it’s paired with a Serverless Lambda function (https://github.com/grasslandnetwork/node_lite_object_detection) running a Tensorflow model. So you get “infinite” horizontal scaling of object detection inference for maximum FPS without having to buy expensive hardware. is it possible to use yolov3 opencv as an object detector and then track it? Yes, absolutely. I will be discussing how to use OpenCV and YOLO together in a tutorial that will be published later this week. Stay tuned! Hello Adrian, thanks a lot for yet another wonderful blog post. All of your posts and course materials have been immensely helpful. I just had one question? How do I know when the tracker has lost the object? tracker.update returns a score; but I am not really sure what that number means and what kind of thresholds to use to filter out false positives. Make sure you see my reply to Prateek. how do remove an tracker instance from list of tracker. For example you can see usain bolt tracker went out of context in the end. so when to remove a tracker from tracker list? One way is to check confidence of tracker, but that vary a lot for different object types and different types of videos(resolution etc. ), other way is to drop a tracker when object reach the boundary of the frame. But is there any other efficient way to do it? You would want to check the confidence of the tracker as you said and then drop it when the confidence is too low. Secondly, I would suggest using heuristics, again as you suggested, when the tracker reaches the boundary of the frame. Well i have a suggestion, you can track an object for let’s say 30 frames and then from the 30th frame track it backwards till you reach the first frame. If you land on or near the starting position then it’s a good track else it’s a bad track. Yet another awesome tutorial, Thanks for sharing this one, it always helpful to use your tips and hacks while solving real life examples. I had one question, how can we train the SSD model of dlib with custom labels, to predict objects for which model is never trained on ? The SSD is actually from OpenCV, not dlib. I would suggest you read my gentle guide to deep learning object detection so you can learn the fundamentals of object detection. 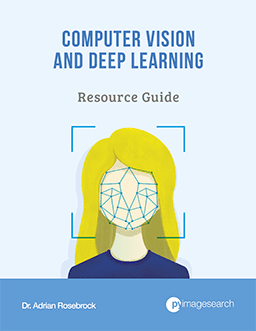 From there, refer to Deep Learning for Computer Vision with Python where I discuss and provide code on how to train your own custom deep learning object detectors. Hi. I wonder is it possible to refresh the tracking process as soon as the bounding boxes seem to be out of order according to the object? Absolutely. See my blog post on building an OpenCV people counter where I do exactly that. Hi Adrian, I’m also using a Raspberry PI 3, but, with mobile robots. if possible, I would like some suggestions. I am developing a mobile robot that aims to go to a certain place and identify a single object quickly. Then I need models, techniques to identify a specific object in the frame quickly and without many flaws. YOLO: It has precision, but I realized that you need a powerful machine and I do not have one, . Haar Cascade: Quick, but does not have much precision, can have false positives. Any suggestion of other alternatives that are quick to identify a specific object? If the solution needs good processing power, I could do as David did, send the images to a local REST API over WIFI, and it returns the instructions for the raspberry. Depending on your level of accuracy required you may not be able to use the Pi, it might not have enough computational horsepower. You could try using a Movidius NCS to increase your FPS throughput rate. FYI, I could condirm it works after fixing followings. 2. should insert “if __name__ == ‘__main__’:” just before main codes. If not, freeze_support() error was occurred. Hey Tommy — which operating system were you using? Just want to make sure it’s documented for other readers. Where exactly did you insert the if statement? Like where is the main() function located? Correct, for Windows users you will need to update the code. My OS is Window 10 Pro. Imutil is the latest one. If you need more info, plz let me know. Thanks Tommy. Based on what I’ve seen in other comments it appears to be a Windows-specific error. Thank you for providing the solution. I’ll be doing a blog post on how to use YOLO with OpenCV later this month, stay tuned! 2/ My second question: is there a way to connect my home camera for input data? 1. 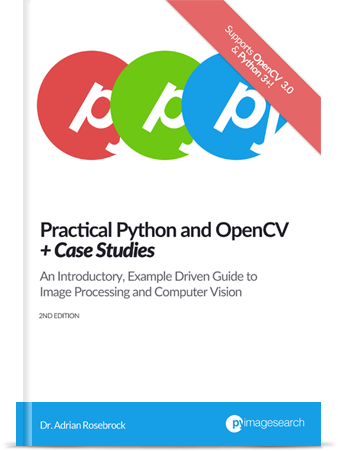 You can either (1) install OpenCV into your “dlib_test” virtual environment or (2) simply sym-link your “cv2.so” bindings for your “py3cv4” Python virtual environment. Either will work. 2. Yes, you can follow this tutorial to learn how to access your webcam. See my blog post on building a people counter with OpenCV. You can swap out the “person” class for the “car” class. In your opinion, is dlib correlation tracker better or is OpenCV KCF Tracker better? There is no one true “best” object tracker. It’s entirely dependent on your application and what you are trying to build. Each tracker has its own pros and cons. See this blog post for more information. Hey Dave — my primary concern is that the Pi won’t have enough computational horsepower for the project. The object detector used in this tutorial only runs at ~1 FPS on the Pi. You could use a Movidius NCS and get up to 4-6 FPS but again, that’s not ideal. You would also want to use a more computationally efficient, but potentially less accurate, tracker such as MOSSE. Perfect tutorial Adrian!! Many thanks! I adapted it to my webcam and worked! But when I leave the scene, the boundingbox gets stucked in the frame. How do I discard the tracker when the tracked object is gone? You’ll want to check the returned confidence of the tracker. If it gets too low, discard the tracker. Hello Adrian, This is Divyanshu and i am trying to implement the slow version of object tracking first but getting this error, please help. Hey, I fixed the issue .I simply converted all the 4 points to integer and it worked for me. Congrats on resolving the issue! Hello Adrian,i implemented the slow tracker right now and it is working fine but when i tested with the webcam ,it was detecting me accurately for sometime and then as i reach corner of the frame it freezes there and then no further tracking takes place. That is indeed strange behavior. Try to use either “print” statements or “pdb” to help determine what line is causing the freeze as again, that is not normal behavior. current process has finished its bootstrapping phase. is not going to be frozen to produce an executable. Thank you Adrian for awesome tutorials! Have you developed/implemented any multi-object, multi-camera detection and tracking algorithm, such as this one: https://github.com/ergysr/DeepCC? It would be great if you could cover the topic. Thank you and keep up with great work. Thanks for the suggestion, Niko! I will certainly consider it but cannot guarantee if/when I will cover the topic. I set on a improvements path like you suggested and oh my its a path less traveled it seems. Hm, I’m honestly not sure what may be going on there. Are you using a Windows system? If so I’ve never tested this code on a Windows machine so I’m wondering if it’s Windows-specific process issue. Yes I’m on windows I highly doubt its a windows specific issue but the fastest way to find out if you can please run my code on your machine, if its not too much to ask, can I please send it over to you? Honestly I won’t have the time this week (it’s by far the busiest week of the year). Furthermore trying to debug another programmer/practitioner’s code is a super time consuming task. I am more than happy to provide the tutorials + source code for free here on the PyImageSearch blog. I hope others can use them, learn from them, and build their own applications, but the support I can give for custom implementations outside what I offer is a bit limited — there are only so many hours in the day and I’m trying to help everyone that I can 🙂 I hope you understand. I would also suggest spinning up your own Linux instance. You do have the VMs from DL4CV that you could utilize as well. You already have a pre-configured Linux instance with the DL4CV though. I can understand simply “wanting the script to work”; however, as engineers we must be willing to do the debugging. It helps us obtain a better understanding of the problem. I cover face recognition with dlib in this tutorial. I don’t have any plans to cover GUIs, I’m not much of a GUI developer and GUIs are pretty far removed from the topic of computer vision. Just wanted to know if there is some other way of increasing the FPS for tracking multiple objects with dlib’s correlation tracker. Actually I am constrained by the fact that I can only use a single core, so multiprocessing is not coming out good for me. Is there anyway to increase the speed, for example by tweaking the stuff inside the code os correlation tracker in the dlib library? If you’re tracking multiple objects the best way to increase FPS throughput is to distribute across cores. If you have only one core then you can’t do that. I’m not sure of any internal tweaks to dlib to make it faster, you would need to ask Davis King, the creator of dlib. Hi Adrian, is it possible to run this code (with multiprocessing) on a Jetson tx2? The code itself will run on a Jetson TX2 but I don’t believe it will natively distribute the process across all cores. How can I implement this tracking on YOLOv3 model? Use this tutorial to understand the YOLO object detector. Then swap in the SSD for YOLO (but make sure you read the YOLO post first). Hi, I converted your idea with tensorflow-SSD and it works fine. But it there anyway to put labels on bbox like ‘person1’, ‘person2’ …? Because everyone detected as ‘person’ and I want to know which bbox is tracked per frame. You can use this tutorial to assign IDs to each of the tracked objects. Thanks for the wonderful tutorial Adrian! Just one quick question on how to reduce the number of duplicated tracking. I have a video of a person moving a box from one side of the image to the center for the whole 1 minute time. I’ve customized the program to detect every 10th frame. By the end of the video I see multiple bounding box of the the same person. Could you suggest a way to remove or reduce this duplicates? Hey Jang — it’s hard for me to say what the issue is without seeing the exact video. I’m also not sure what additions you have made to the code. It’s unfortunately too hard for me to say with the problem is.